For the fitness-conscious, there is nothing better than a fitness tracker. The demand for this device has seen a surge in the market. 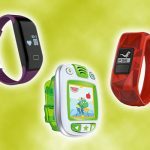 However, with so many fitness trackers in the market you are certainly spoilt for choice. 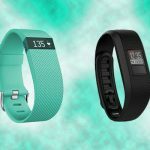 Fitbit has been a leading contender in this segment and its line-up of fitness trackers is huge. 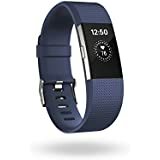 Fitbit Alta is one of the best looking budget activity trackers from Fitbit with SmartTrack feature while Fitbit Charge 2 is a serious upgrade to its previous generation. Fitbit started with fitness tracking devices such as Flex and One and became one of the forefront companies in the fitness wearables market. Battery Life 5 days approx. 5 days approx. Alta is one of the most attractive fitness trackers released by Fitbit. 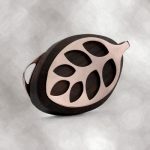 It is sleeker than previous models and is intended to hug a smaller wrist more like jewelry than a gadget. Plus you can swap out bands by removing the tracker. 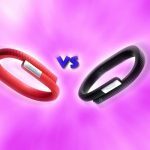 Similar to other fitness trackers you’ll get your typical things like sleep monitoring, activity tracking, silent alarms and it has a solid battery life. The device comes with a touch OLED display and has a bit of a learning curve. The screen does not respond to swiping action but you will need to tap to access various modes. There are also some SmartWatch like notifications such as incoming calls, text alerts and calendar updates. Workouts are tracked by the built-in SmartTrack feature. You also don’t need to press any buttons for it to know when you are sleeping. Charge 2 is the next iteration of Fitbit’s most popular fitness tracker – Charge HR. The design is sleeker, the display is larger and more vivid, the bands are interchangeable and it uses connected GPS which is a clever idea. It has a built-in continuous heart rate monitor so that you get a better estimate of your calories burned while doing any activity. With Charge 2 you get move reminders, silent alarm, all day activity tracking, active minutes and auto sleep tracking. You can sync wirelessly via USB or Bluetooth to access the Fitbit application on most platforms. Charge 2 also features auto recognition of sports so you don’t need to tag them yourself. Smart notifications have improved to include text messages with previews and calendar reminder along with incoming calls. Both devices track activity and sleep patterns. 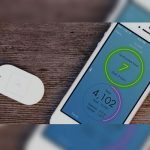 They track major metrics like steps using a built-in accelerometer and also calculate calories consumed. 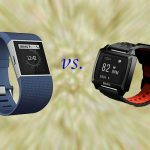 They synchronize with the Fitbit application through iOS, Android, Windows PC, Windows phone, Mac and Web using Bluetooth. Both have silent alarms and inactivity reminders. Battery life is around five days for each one of these devices. None of them are water proof so you should not take them swimming or in the shower. Both can detect your exercises automatically. Bands are interchangeable for both trackers. Both have a tap OLED display. Both devices can notify you of caller ID, text and calendar events. 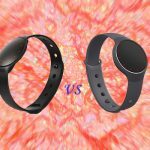 The display on Charge 2 is better and bigger than Fitbit Alta. Users found Charge 2 display easier to read in sunlight than the Alta display. Fitbit Alta is more slender and it looks more like an accessory than an activity tracker. Fitbit Charge 2 has guided breathing sessions to provide you relaxation whenever you are stressed. Charge 2 also has a connected GPS system which uses your Smartphone GPS sensor to track your distance and route. Charge 2 measures your heart rate continuously without attaching an external HR chest strap. Charge 2 tracks your heart rate workout zones automatically. Charge 2 features a more durable stainless steel buckle on the strap. Fitbit Alta comes with a wireless dongle to connect with a PC using Bluetooth. 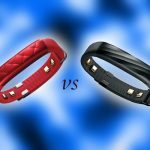 Charge 2 wristband is buckle type while Alta wristband has a slimmer pop-clasp design. Charge 2 gives you a better fitness rating as it includes cardio fitness level including VO2 Max in its calculations. Fitbit Alta does not have any buttons while Charge 2 has one button on the side to cycle through different modes. 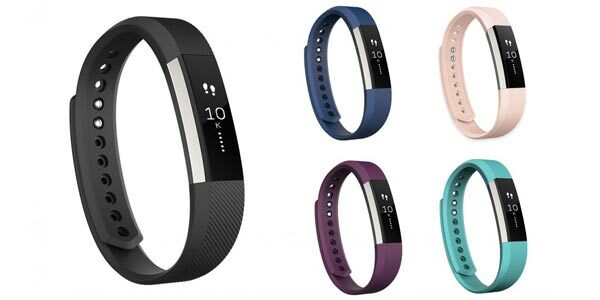 Fitbit Alta comes in three sizes – Small, Large and XL. It does not have always on display. It lights up when you bring your wrist up. Both charging cable and wireless dongle for syncing with your PC are included in the box. It does not have stopwatch functionality. You can choose between different clock faces. Workout session data is stored in the tracker in case your phone is out of range. It will sync automatically once you bring your Smartphone within the Bluetooth range of your tracker. Alta does not track REM sleep. It only tracks how long you slept or if you had a disturbed sleep. You can also view steps, time, date, miles and battery level on the display screen. 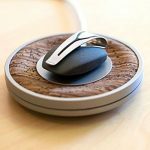 It can be connected to your computer / laptop in case you don’t want to use your Smartphone. Use the web based Fitbit application to login and sync fitness date to your account. The display has an option to be set to vertical or horizontal orientation. Flip your wrist or tap to view time. Time displays for about 5 seconds. Charge 2 has stopwatch functionality. The display is clear and is easily readable even in bright daylight. Small, large and XL size available. Charge 2 will notify you of text messages (First 40 characters) by vibrating and the message is available for about one minute. The messages are not stored on the device. You can setup multiple silent alarms. You will need to carry your phone for GPS functionality to work. 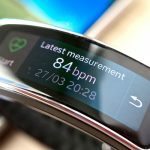 You can view your heart rate on the device display in real time even if you do not have your phone with you. Users reported a charging time of about two hours. The box includes a USB charging cord. Unlike Fitbit Surge or Blaze you cannot control music on your phone from Charge 2. 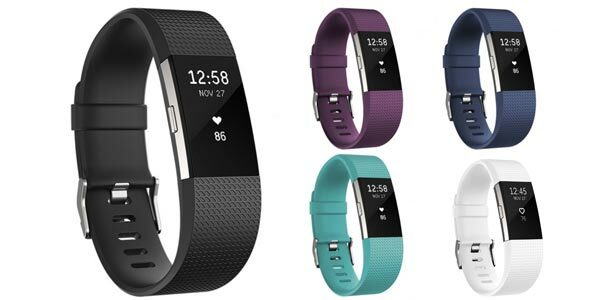 Fitbit Alta, introduced in February 2016, was an instant hit with its comfortable design that can be worn 24/7. It comes with interchangeable metal, leather and classic bands. It offers many useful features. Tracks all your activity: Records all activities performed, such as steps taken, distance travelled, stairs climbed, calories burnt and active minutes. Upgrades training: The SmartTrack feature automatically recognizes and records continuous movement and the type of activity in Fitbit app. During workouts, you can get real-time stats by activating the Exercise Mode. It provides a comprehensive exercise summary, too. Powerful battery: Rechargeable battery that can go on without charge for five days. It takes up to two to three hours to recharge. On-screen reminding: If you neglect to walk, its on-screen reminder reminds you to complete your 250-step per hour goal. Syncs with smartphone: This tracker syncs all your stats automatically to your connected smartphone, tablet or computer via Bluetooth 4.0 and also notifies you of incoming calls, text and calendar. Shortcomings: On the downside, the tap-sensitive screen is not found to be sensitive enough. It is only water resistant and not waterproof, and its features are also limited. 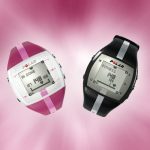 PurePulse heart rate: This enables automatic monitoring of your heart rate and displays simplified target heart rate zones. Tracks sleep stages: It tracks all stages of sleep – light, deep and REM sleep. 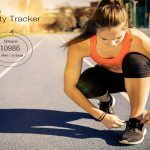 Accurate activity tracking: Like its previous version, it also displays all-day activity and also helps monitor your fitness progress. Automatic exercise recording: SmartTrack recognizes your favorite fitness activity and records it in the Fitbit app. It also provides a comprehensive summary. On-screen reminders: If you neglect your goal of 250 steps per hour, this fitness tracker sends on-screen reminders to make you get up and walk. Bright and clear screen: The OLED display is bright and clear, making it easy to read the time, stats, etc. You can even select a horizontal or vertical layout and choose a variety of clock faces. The Fitbit Dashboard app allows recording workouts, log food, set weight goals and also keeps a tab on your progress. Syncs with smartphone, tablet and computer: It syncs via Bluetooth 4.0 and displays incoming calls, texts and calendar notifications right on your wrist. 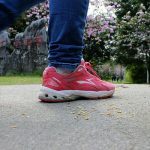 It also syncs your stats with other fitness apps, such as Endomondo, FitStar, LoseIt, MapMyFitness, MyFitnessPal, Runkeeper, Sparkpeople and Strava. It is not only compatible with iOS and Android, but with Windows devices too. 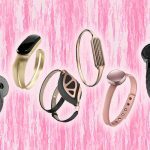 Personalize it your way: With interchangeable metal and leather, as also the choice of classic bands that you can buy separately, you can give this fitness tracker your personalized look. What’s more, you can comfortably wear it 24/7. Water resistant: It resists sweat and water splashes. Powerful battery: Rechargeable battery lasts for five days with a single charge and recharges in about two to three hours. Shortcomings: Screen is found to be slightly unresponsive and the display, though clear, is difficult to read in bright light. It is also not the most dynamic sports tracker. Fitbit Charge was introduced in the market in October 2014. 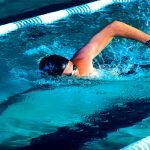 This high-performance fitness tracker not only enables all-day activity tracking, but real-time fitness stats too, enabling improvement in overall health. 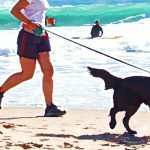 Accurate tracking: It can track steps taken, floors climbed, distance traveled and calories burned. Clear display: Its bright OLED display shows time of the day and real-time stats. Automatic sleep detection: Monitors sleep quality, using motion analysis to record sleep and wake time patterns. It is also provided with a silent and vibrating alarm. Caller id: Displays caller name or number of the incoming calls on your smartphone, if kept nearby. Exercise tracking: Tracks workouts and displays real-time exercise stats. Also delivers summaries automatically on the Fitbit dashboard. Water resistant: Water resistant feature protects it from sweat and water splashes. Battery life: Keeps it charged up to seven days. Shortcomings: The sleep tracking provided is not too accurate. It also came with a faulty clasp, though this has been rectified in newer models. Launched in September 2016, Fitbit Charge 2 comes with a bigger display than Fitbit Charge HR. 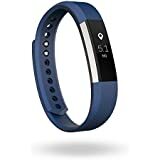 Tracking: It tracks everyday activities, such as steps taken, distance covered, calories burned, active minutes with strenuous activity, floors climbed, and all-day heart rate and zones. Navigation: The screen automatically turns on when you lift and turn your wrist towards you. 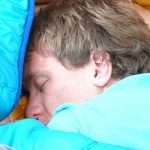 Sleep tracking: Automatically tracks your sleep. Using heart rate, it tracks your time in light, deep and REM sleep, and also time awake. It also comes with a bedtime reminder. 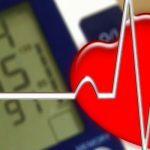 Monitors heart rate: It not only tracks your heart rate when exercising, but also at all other times. Notifications: Receives phone calls and text messages. Gives calendar alerts when near your phone. Guided breathing sessions: Provides personalized deep breathing exercises in two or five minute long sessions. 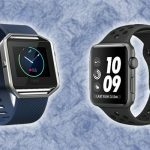 Shortcomings: Fitbit Charge 2 has some limitations too. It has no GPS and GPS connected mode requires your smartphone. Its gesture recognition is not that great and its basic notifications are limited. 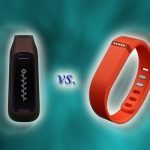 With the introduction of newer versions of Fitbit products, these four are already becoming outdated. However, that is not to say that these four are redundant in any way. All four pack a punch in improving your fitness in their own ways!